Over a dozen streets come together to form the Richer School neighborhood, many of which are quiet side roads with very little through-traffic. The area is great for walking the dog or spending an afternoon at Richer Elementary School’s renovated playground. There’s also a indoor and outdoor sports field complex at the southern end of the neighborhood at the corner of Sandini Road and Forest Street. Many of the houses in the neighborhood are 3 bedroom, 2 bathrooms ranches, but there are smaller townhouses and larger Colonials in the area as well. Some homes near the school have a garage as well. 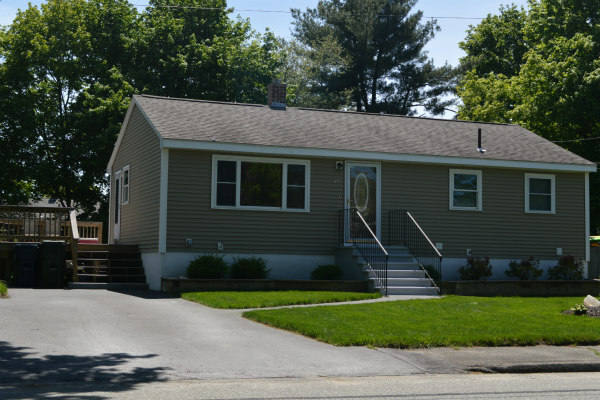 Homes in the neighborhood are conveniently located near many state highways including Route 20, Route 85, Interstate 290, and Interstate 495. RK Centre, a shopping plaza which also features many outstanding restaurants, can be found along Route 20 less than two miles from the area. Donald Lynch Boulevard is a bit further north, but well worth the drive to visit Solomon Pond Mall and Shops at the Pond, the location of a combined 125+ stores and eateries. There are also many natural attractions around the homes near the Richer School neighborhood. Millham Reservoir and Felton Conservation Area are just a few miles to the west, while Williams Lake can be found to the east behind the Richer School. Any of these spots make a great place to go for a bike ride, hike, or a fishing trip.